Linux, like ice cream, comes in many flavors. Behind the curtain Linux continues to quietly run the world. Unknown to most, everything you own that is “smart” usually runs some flavor of Linux. Until recently this did not really matter to most end users (you) because Linux offered a buggy GUI (graphical user interface). Linux’s best features were only available to those highly invested in technology (me) because of the high level of knowledge required to properly configure Linux to a users needs. Good news, this has all changed. Windows is no longer receiving the detail and attention it used to. At one time Windows felt like Microsoft’s flagship product but these days it feels like an after thought. Microsoft is using it’s operating system as a sort of advertising portal while they record and store data about your use. Windows 10 is considered a service, not a product you can purchase. This has been made very clear by Microsoft. Who knows when Microsoft will decide to discontinue their “free” operating system service unless you pay x amount of money monthly. Microsoft makes continuous updates that you can not avoid. These updates seem to contain useless non-business like features. These updates (specifically the cumulative ones) break a lot of peoples machines. The updates often get stuck in loops and continuously retry to download and update. Someone on a data limited connection (common in rural areas) can have their whole monthly data allotment eaten up in one evening when an update goes mad. I would imagine ISP owners dislike Microsoft’s new approach to updates. I would have to imagine ISP’s are seeing a lot more network traffic than they used to. So why do people continue to use Windows despite all of it’s short comings? If Windows wasn’t already installed on almost all newly sold computers I believe you would see more variety in operating system choices. Windows 10 is the most sophisticated operating system on the planet. Some end users don’t understand, don’t know, or simply don’t care that their data is being compromised. Some are tied to Windows through software requirements, or what they believe to be requirements. What about Apple’s Mac OSX that all your friends are bragging about being virus free? First, lets dispose of the common myth that Mac’s don’t get infections. There are Mac based viruses and they are becoming more prevalent. The more market share Macs control, the more viruses are created to infiltrate these machines. What is OSX? Apple created their OSX operating system by taking BSD Unix and changing/configuring it to their liking. Apple has not created anything unique and or special. Apple took an open source, already secure and accomplished operating system (BSD Unix) and improved on it calling it OSX and branding it their own creation. Unless you want to move from one dictator to another, choosing Apple over Windows is like choosing the lesser of two evils. Buying into apple is expensive and leaves you little to choose from when it comes to hardware. It is very difficult to find good support for Apple computers due to their proprietary hardware and lack of mainstream use. Use of Mac OSX has increased but still remains largely in Window’s shadow. In my opinion the Mac OSX GUI (graphical user interface) is and always has felt clunky and backwards with little ability for configuration. How can you break away from Windows 10/Apple and gain control of your operating system/computer again? If you are a dynamic business oriented person who is looking to maximize productivity while minimizing time spent on operating system woes then Linux might be exactly what you have been missing. Ubuntu Linux or Mint Linux are two great examples of Linux distributions that give you all of the application support and compatibility of Windows/Mac while leaving you in control of your operating system. 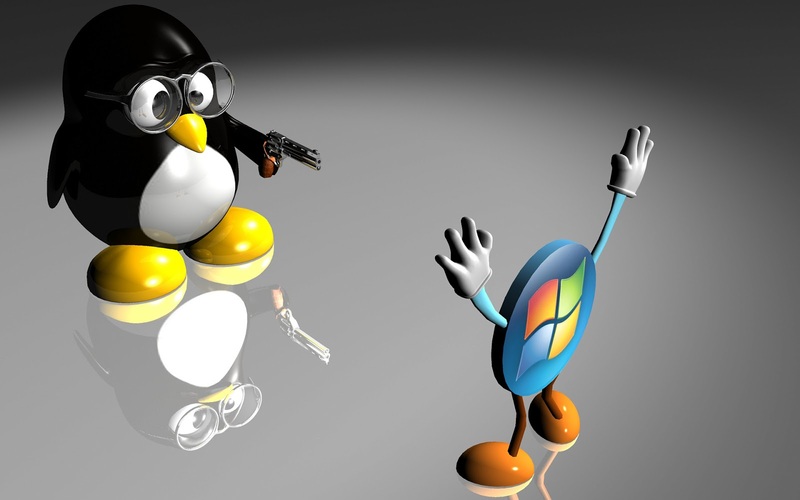 It does take more time and technical ability to install and configure these Linux operating systems. This is a small price for the reliability you get from Linux. While all your friends are upset about new Windows updates and bugs that are interfering with their work you will be unaffected. All of Linux’s work suite applications come pre-installed. Updating Linux is as simple as clicking a button (much like Windows used to be). Linux does nothing behind your back. You can sleep well knowing your data isn’t leaking out of your control. Linux is open source and anyone including you can take a look under the hood to see it’s source code. This openness is what keeps Linux safe. It’s hard to take advantage of users when the code is out in the open and everyone is aware of the programming logic and intent of the code. If Linux wasn’t the most secure operating system it wouldn’t quietly rule the world while they cram bloated and malicious operating systems down end users throats hoping the end user is willing to give their data and personal use habits away freely. Please feel free to contact us at True Computing to learn more about all of our technology solutions. We love what we do and it shows in our work.